Online dispute resolution (ODR) is the latest trend in dispute resolution services, especially in European countries and developed nations. For instance, European Commission has recently suggested use of ODR to resolve various disputes. Even otherwise projects are in process in Europe where technology would be used to enhance access to justice. Even international organisations like World Intellectual Property Organisation (WIPO) and United Nations Commission on International Trade Law (UNCITRAL) are considering use of technology dispute resolution services through ODR in one form or other. European Commission has in the past recommended use of ODR for cross border consumer disputes. Further, the intentions of international community to use ODR for cross border e-commerce transactions are also well known. So what is this ODR and why it is assuming so much importance these days? ODR essentially involves innovative use of information and communication technology (ICT) to resolve disputes. ODR is an improvement of the traditional alternative dispute resolution (ADR) mechanisms like arbitration, mediation, conciliations, etc. Although all these forms of ADR mechanism are still used in ODR yet the main difference is that of technology. Being technology driven, ODR is a very wide field. It can be used for resolving various interpersonal disputes including consumer to consumer disputes (C2C) or marital separation; to court disputes and interstate conflicts. However, the most significant use of ODR is its application to e-commerce. In particular ODR is most suitable for resolving disputes arising out of business to consumer (B2C) and business to business (B2B) online transactions.ODR is also conducive for resolving disputes between parties that are residing in far away and opposite countries of the World. In this ICT connected World, ODR is increasingly used for resolving disputes arising out of cross-border electronic commerce transactions, including B2B and B2C transactions. However, ODR cannot succeed in the absence of harmonised legal and regulatory framework. There must be a common standard and best practices for ODR to succeed. Similarly, another key factor for the success of ODR is efficient enforcement. Without efficient enforcement ODR would lack the appeal to the parties to adopt ODR for dispute resolution.Although the journey of ODR has begun yet it has still to cover a long gap. At Perry4Law we would always strive for the betterment of ODR in general and parties to the dispute in particular. 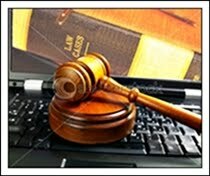 Our specialised Techno Legal Segment Perry4Law Techno Legal Base (PTLB) has been working in the sphere of “International Harmonisation” regarding ODR.We are not only providing Techno Legal ODR Services but are also working in the direction of Research, Training, Education and Policy Making regarding ADR and ODR. We hope our initiatives and efforts would prove useful for all concerned. Perry4Law and PTLB are presently working in the direction of formulating a framework that is compatible for both national and international ODR and technology dispute resolution institutions and organisations. We would come up with the same after some time once our national and international cooperations and collaborations are clear.